Welcome to the EDLIS site, Jokerman. This site is rebuilt from the work originally compiled by Larry Yudelson, Karl Erik Andersen, Seth Kulick and the EDLIS crew in 1995. Jokerman is a song by Bob Dylan, first published on the Infidels album (1983). When the song was new, a video was made to accompany it. This video is unusual, in that it consists of a series of images of classic paintings and other pieces of art. 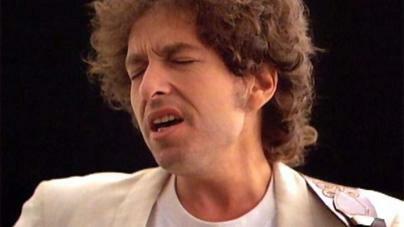 There are also a few shots of Bob singing, but the images are the main thing. Bob Dylan (vocal, harmonica, keyboards & guitar), Mark Knopfler (guitar), Mick Taylor (guitar), Alan Clark (keyboards), Robbie Shakespeare (bass), Sly Dunbar (drums). Some Bob Dylan Lists and other small items were written specially for this book by Michael Gray, some jointly with John Bauldie.